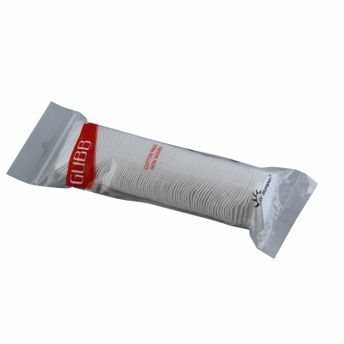 The GUBB USA cotton pads in pp bag with string 80s is ideal for face cleaning or makeup removing. These cotton pads from GUBB USA have been made with sterilized cotton which makes it ideal for all skin types. Being extremely gentle to your skin, the cotton pads can easily be used to apply or remove makeup, and cleanse your skin. Being multi layered, they work perfectly by soaking the unwanted oil from your skin. Easy to carry for travelling or in your purse. GUBB USA, the international grooming range from "U", is a renowned name in the field of personal skin care items and brings quality products at affordable rates. Try Gubb USA cotton pads in pp bag with string 80s today! Explore the entire range of Cotton Buds and Balls available on Nykaa. Shop more GUBB USA products here.You can browse through the complete world of GUBB USA Cotton Buds and Balls .